We are in the heart of the Pyrenees, at the foot of the Sierra del Cadi, surrounded by incomparable landscapes, we invite you to discover Andorra, the Alt Urgell and Cerdanya, and their treasures. 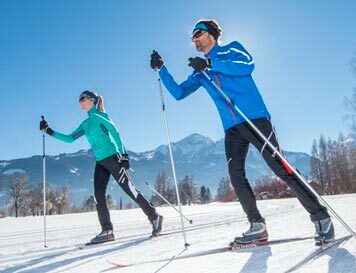 We encourage you to try Nordic skiing or make a circuit in snowshoes, for some neighboring winter season. Closer Can Miquel, you can enjoy ski slopes of Andorra, Alt Urgell or La Cerdanya. Do you like good food? Then, the Alt Urgell is your destination! 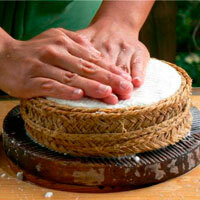 The cuisine is part of the history of our mountain and village. Here, you can taste the wisdom of the past, with a personal touches of every cook. We suggest you to taste the “Arròs de muntanya” (typical mountain rice), beef and veal Bruna, grazing in our fields and the large number of craft products, such as cheese, artisan bread, jams, etc. HOSTAL VELL / C. Mayor, 10 / 100 m. from Cal Miquel. 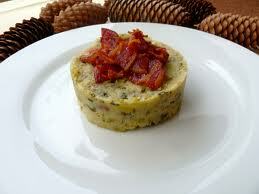 The Alt Urgell is a land of cheese. Here you can find a large number of artisans, that blends tradition with new techniques. So there’re some of the best cheeses in the world, with international awards. You can’t miss a visit to see these little treats that are made with flavoured mountain. The Cadi, you observe wherever, it’ll captivate you. 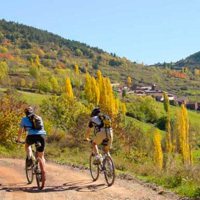 We recommend you a trekking route to Prats de Cadi. It’ll take you around an hour and forty minutes from the village of Estana, by the marked track. The reward after the effort, will have the best views of the Cadi Mountain. In Anserall and surroundings towns, you can find a lot of routes and paths. -We are the gateway to the Alt Pirineu Natural Park, a refuge for endangered species, and landscapes modeled by centuries of human activity constitute the largest natural park in Catalonia, halfway between the counties of El Pallars Sobirà and L’Alt Urgell. – The Romanesque Route. You can discover treasures as, the old Sant Serni de Tavèrnoles monastery in Anserall. In La Seu d’Urgell, you’ll find the only remaining Romance cathedral in Catalonia. -A walk among mountains, valleys and rivers, just bordering Segre river, in La Seu d’Urgell. – A easy path, bordering Segre river. 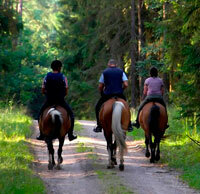 You can go horseback riding through the nature reserve of the Segre river. Andorra is a shopping paradise just in the mountain! So, it’s only 10km from Cal Miquel! 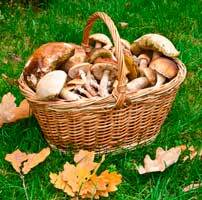 You can find several types of local and delicious mushrooms, like rovellons, fredolics, among many other. 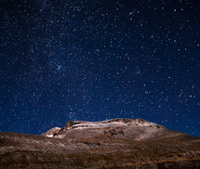 You’ll be Under a star filled sky and silence…Enjoy it!